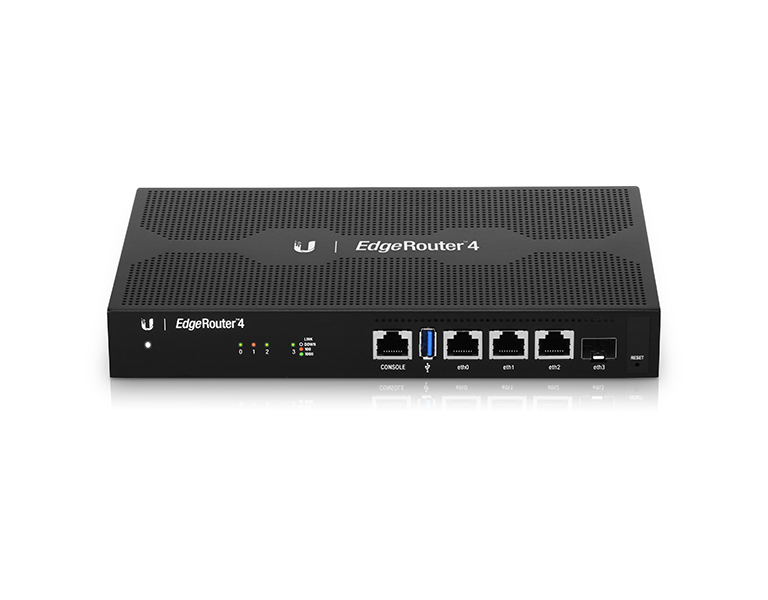 Ubiquiti Networks introduces the EdgeRouter™ 4, the next generation of router for the EdgeMAX platform. EdgeRouters combine carrierclass reliability with enterpriselevel features in a compact and affordable unit. DHCP Server Set up multiple DHCP servers to assign IP ranges in different subnets on the different interfaces. Easily control dynamic and static IP addressing for your network devices. Interfaces Each port functions as an independent interface. You can also configure Virtual Local Area Network (VLAN) interfaces for network segmentation. The EdgeRouter provides a graphical user interface designed for convenient setup and control. 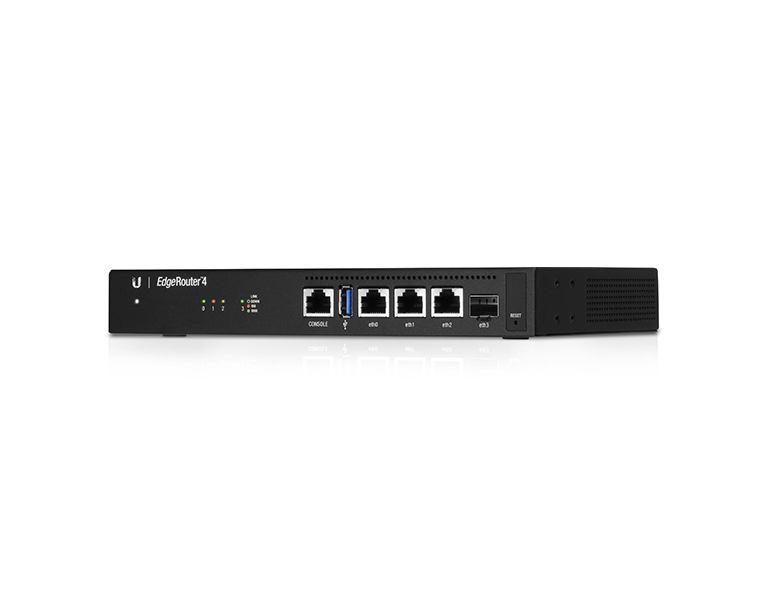 Accessed via a network port and web browser, the user-friendly interface provides intuitive management with a virtual view of the ports, displaying physical connectivity, speed, and status. The Dashboard screen displays detailed statistics: IP information, MTU, transmit and receive speeds, and status for each physical and virtual interface. In addition to the EdgeOS software, the EdgeRouter provides the following options for convenient management. The EdgeRouter 4 is supported and managed by the Ubiquiti® Network Management System. UNMS™ is a comprehensive management controller featuring a graphic UI that is easy to navigate. You can use a single control plane to manage registered EdgeMAX devices across multiple networks and sites. The UNMS app allows you to manage the EdgeRouter using your mobile device. The app can be downloaded from the App Store (iOS) or Google Play™ (Android). 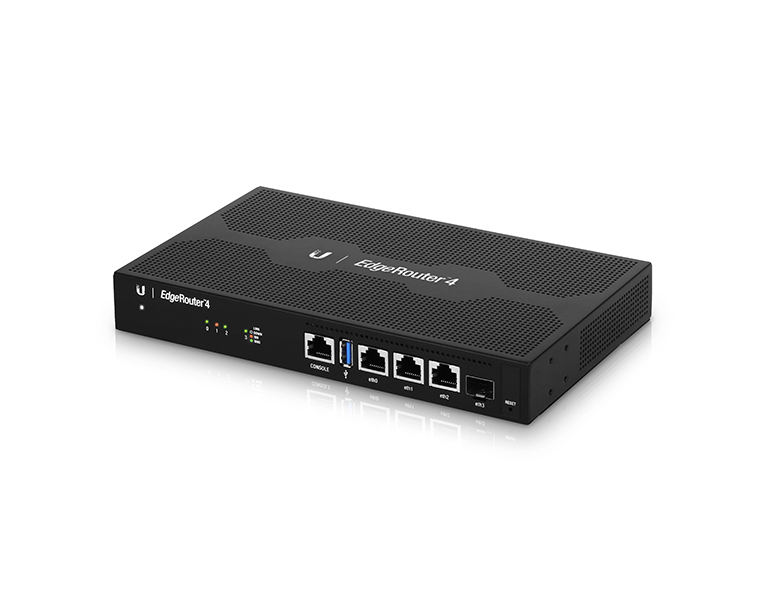 Once the UNMS app is installed on your mobile device, simply connect to a wireless network that has access to the EdgeRouter, discover the EdgeRouter, and log into its configuration interface. 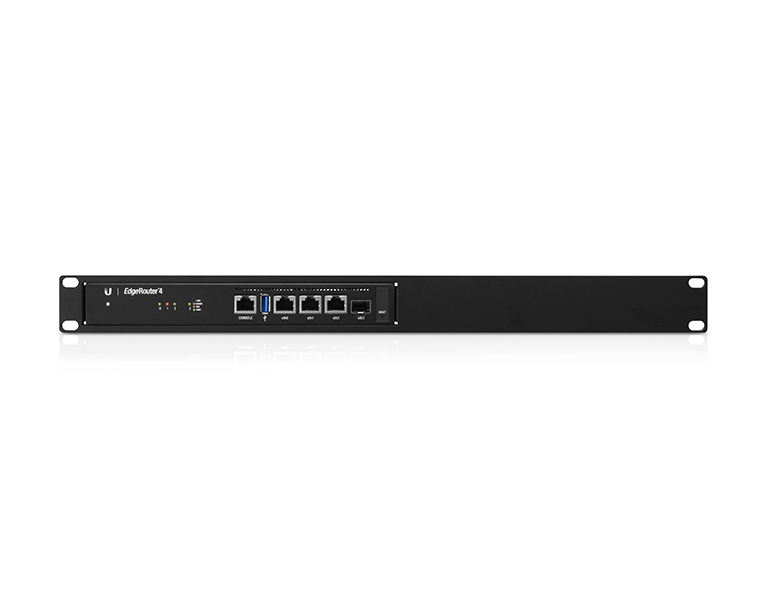 You can display and configure various settings, such as interface information, throughput per port, system settings, and more.